The Delaware State Police have charged 38-year-old Cam L. Herring of New Castle with multiple felonies, to include assault of a law enforcement officer, after he stole a vehicle Friday morning, according to Public Information Officer, Master Corporal Michael Austin. 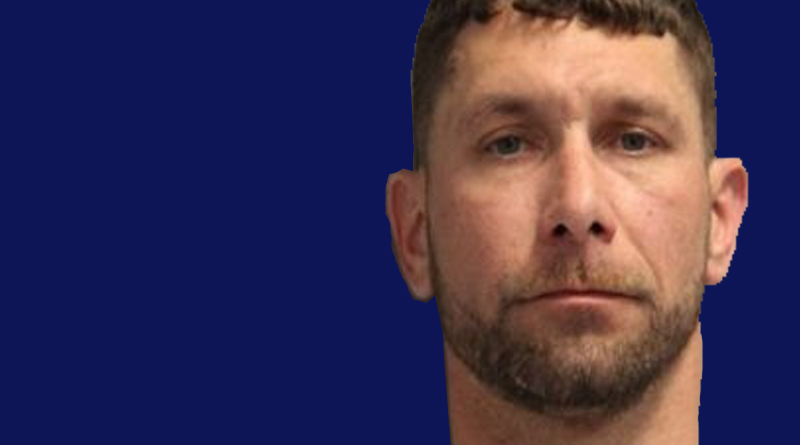 Austin said on Friday, February 8, 2019, at approximately 9:22 a.m., Troopers responded to the Citgo gas station, located at 3625 Kirkwood Hwy., Wilmington, for the report of a stolen motor vehicle. The investigating Trooper determined that a 2008 Chevy Impala had been left running and unoccupied in the parking lot while the owner entered the business to make a purchase. Upon returning to the lot, the owner discovered the vehicle was missing. Information obtained by the Trooper during the course of the investigation determined that the vehicle was currently in the development of Coventry in New Castle. At approximately 11:54 a.m., while searching the area, the Trooper located the stolen vehicle in the 100 block of W. Edinburgh Drive. The Trooper exited his patrol vehicle and approached the Impala at which time the operator and sole occupant, later identified as Herring, accelerated, striking the Trooper as he fled, said Austin. Multiple units, to include officers from the New Castle County Police Department and the Delaware State Police helicopter began a search of the area. A short time later the stolen Impala was located, unoccupied in the unit block of Dunsinane Drive. At this same time, multiple 911 calls were being received describing a white male subject attempting to access multiple residences on Dunsinane Drive. While canvassing the one block area Troopers were flagged down by a female who advised that an unknown male subject had entered her residence and was hiding in the attic. At approximately 12:25 p.m., a Delaware State Police K-9 unit entered the residence at which time Herring surrendered and was taken into custody without incident. Further investigation determined that Herring attempted to make access to two other residences before successfully accessing the location where he was apprehended. The injured Trooper, who is assigned to Troop 6 was treated and released from an area hospital with minor injuries. Herring was arraigned in Justice of the Peace Court #2 and then committed to the Howard R. Young Correctional Institution in lieu of $73,000.00 secured bail.